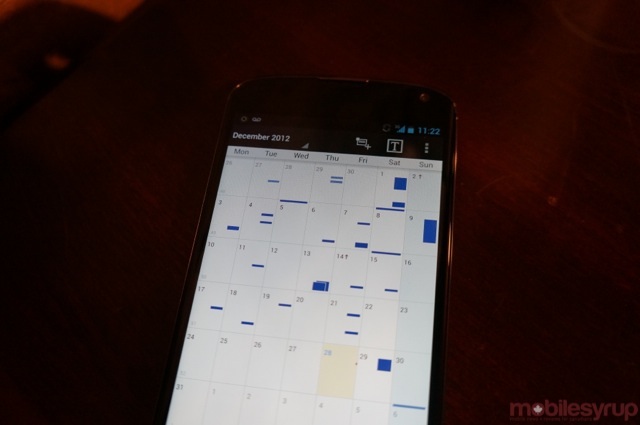 Business Calendar for Android has long been one of the most full-featured calendar apps for the platform. The only thing it really lacked for was a nice design. The developers recently overhauled the look of the app but kept much of that quick-access functionality in tact. Updated with a design based on the Android Holo guidelines, the app now features quick action bar switches in the top right corner for day, week, month and agenda views, as well as one-tap toggles for time slot or detailed list views. Adding an event is just as easy as ever, and choosing its duration is as easy as sliding your finger down a right-side scroll bar. At $4.99, Business Calendar isn’t cheap, but it’s one of the finest ways to ensure that you, and your busy life, is well taken care of. It syncs with Google Calendar and a host of other services, and almost every aspect of the app, including the first day of the week or the default start time for a day, is customizable. There is a free version which offers ads and limits some features, but the paid version is definitely the way to go.